Hi guys! Today I am officially announcing a super amazing project that starts tomorrow! 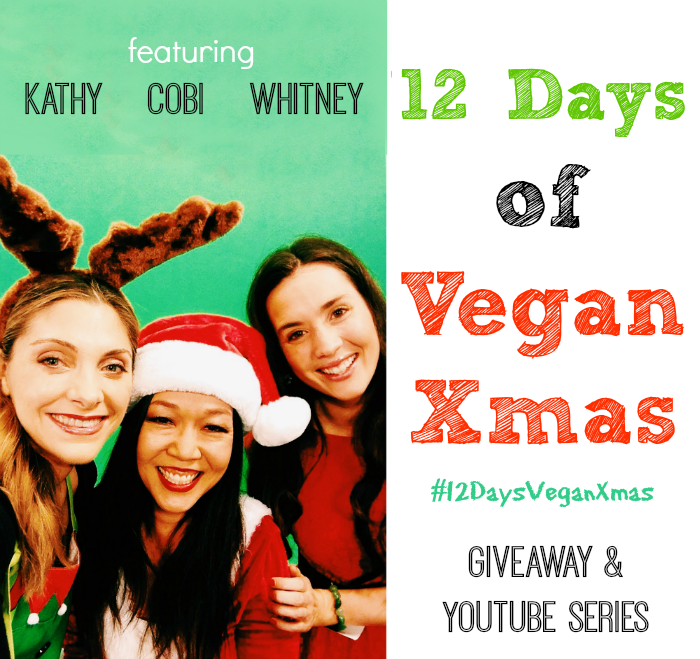 I teamed up with Whitney from EcoVeganGal and Cobi from Veggietorials to film a 12 Days of Vegan Christmas YouTube Series + EPIC Giveaway. 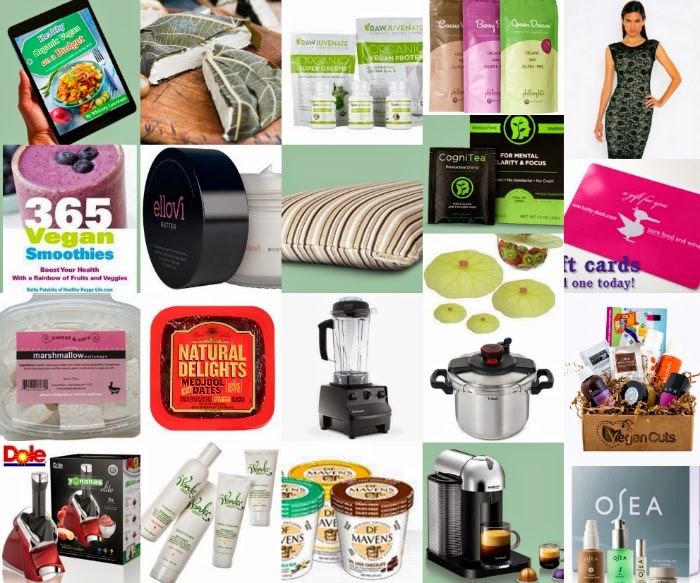 Get the details of this massive $2600+ prize featuring some of my favorite brands.. Behind the Scenes Cobi and Whitney.. 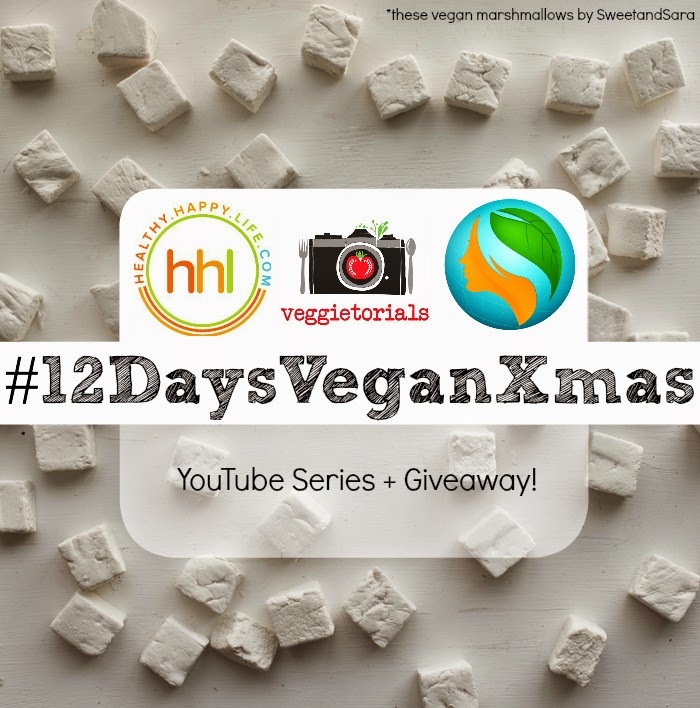 The GIVEAWAY Details: Every day between now and December 24th we'll post a new video to our three YouTube channels and you'll have another chance to enter the giveaway*. You can enter the giveaway each day to earn more points. You may need a bigger kitchen to house all these amazing goodies!.. O-M-G this vegan cheese blew me away. I have tasted a lot of vegan cheese in my day and this brand is easily in the top three of best brands ever. I gave a slice to my husband to taste, without any intro at all, just saying "Hey hunny, try some vegan cheese." His reply, "Yum. Hm. Wait. THIS IS AMAZING!" Epic vegan cheese, right here. Let it feel like Christmas every month of the year with these amazing goodie boxes filled with vegan products that you will love! Love this company and their brilliant Vegan Cuts boxes. I sleep on an Essentia mattress and looooove it. My chronic back and neck pain has disappeared since we started sleeping on Essentia about a year ago. And owning an Essentia pillow is the perfect way to get a taste of this beautiful, brilliant eco-vegan brand. Whitney keeps raving about her pressure cooker, so I think I NEED to buy one. I mean, faster, more flavorful veggies, grains, soups and more? Yes, please. You guys know I am a HUGE OneLuckyDuck.com fan, so I was thrilled when they generously said yes to donating a prize! You will adore anything and everything you find on this website, curated by the brilliant Sarma of Pure Food & Wine restaurant in NYC fame. I love our Nespresso, and I have been a Nespresso fan and owner for over seven years now. The flavor of the espresso and coffee is THE BEST. Hands down. So I am so thrilled that Nespresso is donating such an amazing machine to this giveaway! Whitney raves about this brilliant tea and brand, so I am anxious to try it! Thank you Sophie for your delicious superfood powders and for being part of our giveaway! Sophie, owner and founder of this brand is an inspiration and I am such a huge fan of her products. I use her superfoods in my smoothies every chance I get. Wow this woman is amazing! And her vegan fashion designs are gorgeous. This dress is date-night approved! It is so comfortable and fun to wear too. Check out her website to browse all her beautiful designer fashions! The best vegan marshmallows on the planet. You have my word on that! Plus, we love love love Sara and her family. I love my friends at Dole and so I love when they generously donate healthy, happy life goodies! So much fun stuff in this gift pack, including that awesome Yonanas machine! Vegan ice cream worth swooning over! These will come in handy come January 1st when you want to step up your nutrition game for the new year! OK, this is a really cool cleaning product that Whitney raves about. Antibacterial and eco-friendly to help you use less paper towels during clean up time. Love it. These dates are amazing! I use them in smoothies, raw desserts, salads and more. You will have so much fun experimenting in the kitchen with these delicious dates! This vegan beauty set is one of my favorite brands. Beauty from the sea! Based in Malibu, California and a fave of celebs. Another amazing vegan skin care line that is natural and wonderful. I sampled some and was impressed! Silky soft skin-maker! Cool product for your kitchen. Leftovers never looked better. More silky skin coming your way. Vegan and luscious! My smoothie book, yes I kinda love it. Whitney's amazing ebook that will help you eat healthier, spend less at the grocery store, save time and feel empowered! More details about each brand and the prizes will be revealed in our VIDEOS! The winner will receive ALL of the above! And the total value is worth mentioning again: around $2,700!! Each product will be delivered separately. This is the Christmas season that keeps on giving! * Entrants must live in the United States to qualify. * Hint: listen for the sleigh-bell sound effect in the videos! Quickie news! 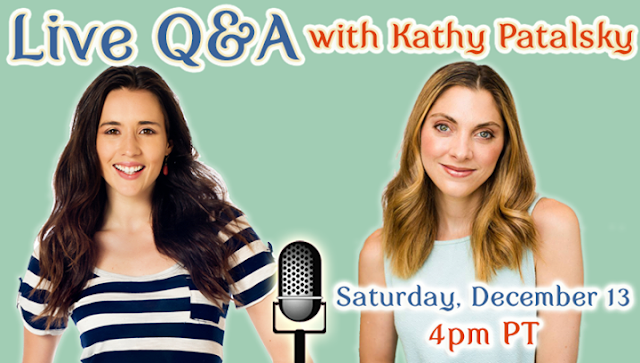 I will be doing a LIVE Q&A with Whitney this Saturday! Details here. Event will go live here. 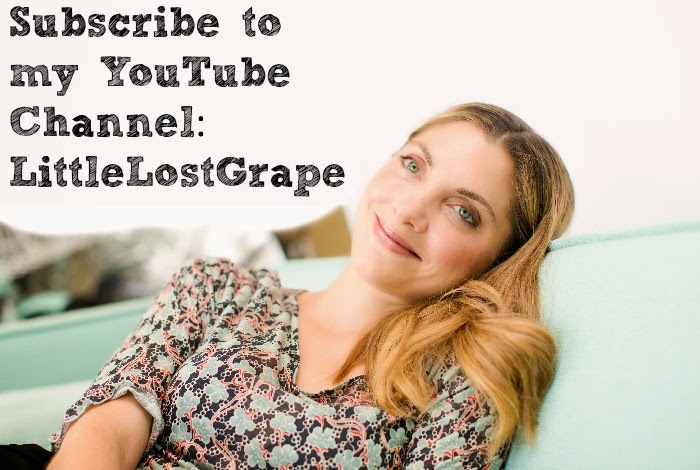 DISCLOSURE: This is NOT a sponsored series. Prizes were generously donated by the brands we asked to participate, but there is no sponsorship involved. Aka, we are not getting paid, we just love the holidays, love you guys and love these brands!